The Lincoln Dining Chair is the perfect companion to the Lincoln Dining Table. 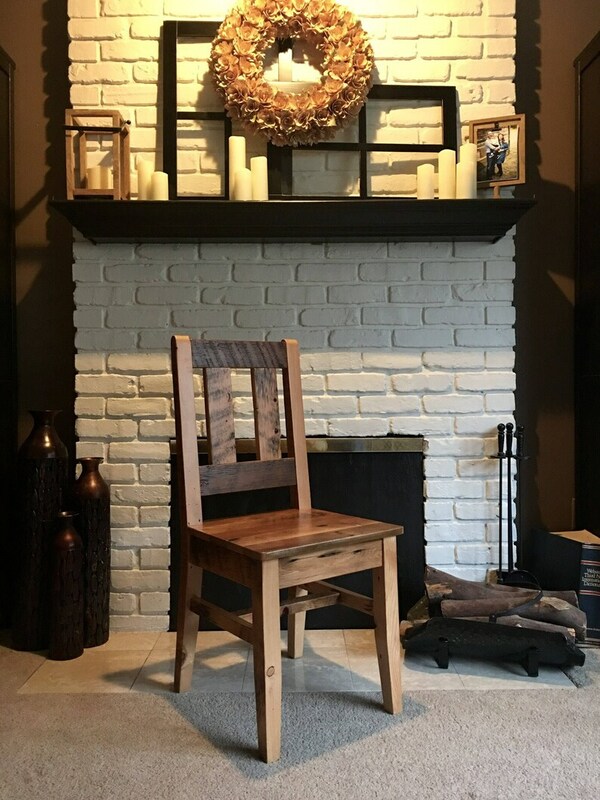 These chairs are constructed from the same vintage reclaimed lumber as their namesake dining table. Reclaimed from vintage old-growth barn timbers, this wood is harder and more dense than most comparable fir lumber marketed today. Each chair is made to order, finished in a durable satin clear coat. Custom stain and or finishes are available for an extra charge. Please contact for details. Matching dining tables, benches, and coffee table also available.